Hotel Stay Inn has started its Hotel Management Services from 2005, January 18 at Bengaluru (Bangalore). 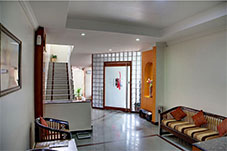 Stay Inn is today one of India’s finest hotel with its distinctive service level in the Indian Traditional Style. We welcome all our customers with a widely recognised way as the ultimate follower of Indian hospitality. Our speciality in constructing the Hotel had a major objective that the design concept and themes of the rooms and accomodation services play an important part in their respective style that every customer who stays in at Hotel Stay Inn will be comfortable as if he is staying at his Home. 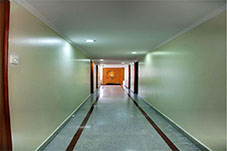 Hotel Stay Inn offer warm, comforting services to the global traveller and a chance to connect the Budget Hotel Standards. Stay Inn has been voted as one amongst the Best Budget Hotel in Bangalore, India. Stay Inn operates in harmony with nature and peace. The environment is very calm and clean. 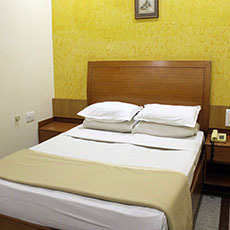 Hotel Stay Inn prides itself in consistently providing quality, comfort and exceptional value. All of its 20 rooms and suites are stylish yet comfortable, ensuring a pleasant stay whether for business or vacation trips. At Hotel Stay Inn every modern comfort and convenience is available - air-conditioning, color television, mini-bar, hair dryer, tea/coffee making facilities, separate telephone lines port and Travel Arrangement facility. The entire property is fully equipped with wired internet access, as well as wireless broadband in all public areas..
© Copyright 2005 - 2016 Hotel Stay Inn, Bengaluru India. All rights reserved.